With A Simple Hybrid Master Event"
and have little to no budget! Going from relatively unknown in your marketplace to an industry thought leader and marketplace celebrity in under 72 hours. With as little as just 21 prospects you can bank up to $462,000.00, like Alex Dee did the first time he held a Hybrid Master Event. Just 55 prospects... you can bank up to $1.2 million dollars like Alex did the second time he used this same method. And, who knows, you can even take this strategy and become a household name in your marketplace, like my clients: Ryan Deiss, Todd Brown, Russell Brunson, and GKIC. Hi, my name is Sherrie Sokolowski. I'm on speed-dial for many of the biggest marketers and entrepreneurs in the world. And I've been the secret weapon behind many of what are... today... the largest, most popular conferences held. Have you heard of Traffic & Conversion? These are just some of the events that started with my Hybrid Master Event method. And have grown to be annual events that produce multiple millions of dollars every year. And I can show YOU how to do the same. And you can do it all with my Hybrid Master Event strategy even if you're "unknown" in your marketplace with no event experience and no budget. I know what you’re thinking … I’m not ready to host a live event! Maybe you're terrified of speaking in front of people. Maybe you have a tiny email list. Maybe you have almost no social media following. Maybe you have no clout or credibility in your market. Maybe you're even just launching a brand new business. Fact is: Those are the exact reasons why now is the perfect time for you to put my Hybrid Master Event strategy to work for you. Because it'll build your email list, social media following, customer list, and cash flow faster and easier than any other marketing method. He was "just getting by", as he put it. His first Hybrid Master Event brought him $462,000 from just 21 people. His second Hybrid Master Event brought him $1.2 million dollars from just 55 people. Today, from just four Hybrid Master Events, Alex has banked over $13.2 million dollars! And I could go on and on with story after story of clients just like this. And not just big-wig marketers, either. Many of my clients are also entrepreneurs who are happy doing small Hybrid Master Events once or twice a year that bring them a couple million bucks while doing great things with a small group of people. NO... the Hybrid Master Event strategy doesn't require you to have a bunch of money or a bunch of time to execute. It will bring you all the money you need to host it BEFORE the actual event, just by following the simple process. And, the whole event can be planned and executed in just hours. And like I said, it doesn't require you to have an email list or big following. It will create both of those for you. But not just any people on your list- the perfect customers for you and your business. The business growth problems you currently have... vanish almost overnight. You won't have to hunt for new customers or clients. They'll be coming to you. You won't have to wonder if and when you'll be getting new customers. They'll be buying your stuff regularly. And you won't have to wonder how you're going to generate more sales. You'll be cash-flush from your first Hybrid Master Event... and financially ready to grow your business bigger. That's why the biggest marketers and entrepreneurs on the planet routinely pay tens of thousands of dollars for me to help them host their first event. And second. And third. But, you don't have to shell out tens of thousands of dollars. A Year's Worth Of Income In Just 3 Days! 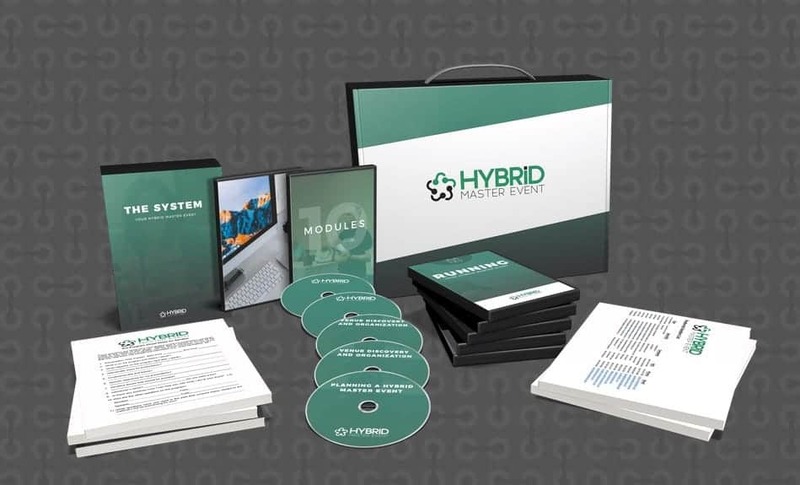 This video shows you how to prepare your Hybrid Master Event for optimal success. Cut through all the guesswork of preparing the event so that you can rest easy knowing you have your plan of attack for the event in place! Discover the ideal location to have your Hybrid Master Event, the perfect time of the year to hold the event, and negotiate the perfect fee to ensure profitability before the event even begins. Book an all-star speaker lineup that your attendees will be begging to see, while negotiating their engagement for minimal to no cost out of pocket! Pack the house with tons of excited attendees who fly in from all over the world. Never worry about "not having enough" people in attendance, and maximize the show rate for your event. Sell vendor slots easily for your Hybrid Master Event so that all your costs for the event are paid for by the time the doors open. Know how much vendors should be paying, and how to land top names. Setup your venue in no time, and prepare your location to have the most successful Hybrid Master Event. Flawlessly run your Hybrid Master Event from beginning-to-end. Follow this specific strategy to make sure everything runs smooth and on-time, and have your attendees thrilled at how well your event ran, they’ll be telling everyone what they’ve missed! Land high-ticket sales for all your programs during the event. Learn when the best time to sell from the stage are, and when the worst times are so you can avoid an empty order table. Add additional dollars to your bottom line before your attendees even leave the event property. Learn how to maximise every single sales opportunity both inside the event and out, while the event is still going on! In addition to the modules: you’ll also get some of my most effective tools that literally guide the process for you, so you never have to worry about something not being done, or showing up to an event unprepared. You'll also get Sherrie's cheat-sheet Bundle that she uses on every single event she holds. "The Secret Bill Glazer Collection Of Event Marketing Swipes!" This is over 100 pages of Event Marketing GOLD that helped pack thousands of attendees into the Bill Glazer/GKIC events. Swipe headlines, themes, postcards, emails, and many.. many more! When you run any type of event, the costs add up super-fast. 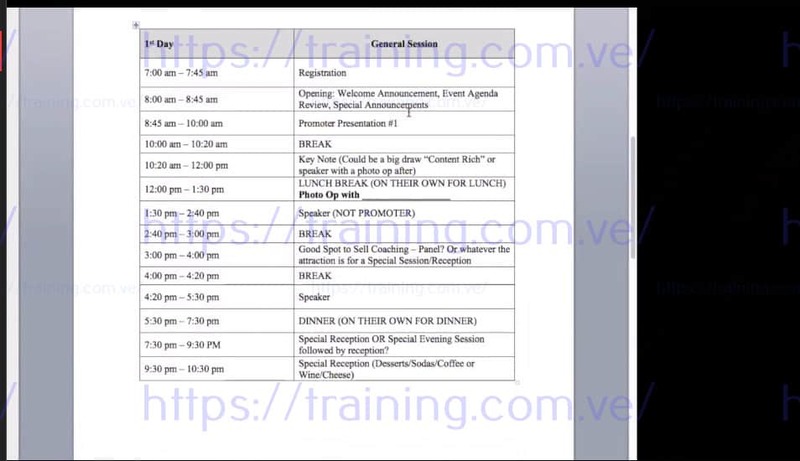 I have mastered the art of trimming the budget to make sure you have the most profitable event EVER! "From Terrified Speaker To Pro Presenter In Just Minutes!" … instead of the butterflies controlling you! In a special interview with David Perrera from Marketing Funnel Automation, Tom reveals his best tips to OWN your audience… and make them wish they knew your secrets! Put everything I've said to the test. All at my risk. ...and the excess cash-flow and positioning that can continue to grow your business to new heights. And you're either thrilled with everything, or you can send one email to my support team and get a 100% refund. Take the next month to go thru everything. Download everything. 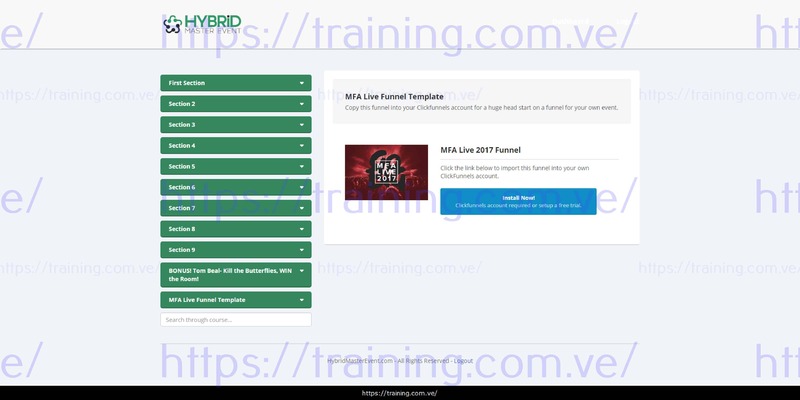 And see for yourself why top marketers and entrepreneurs shell-out tens of thousands of dollars to have me implement my Hybrid Master Event System for them. If for ANY reason, or no reason at all, you're not head over heels thrilled with everything, send one email in the next month, and just say, "Hey, I'd like my money back." And you'll get it. 100%. GET THE HYBRID MASTER EVENT SYSTEM!